while in Thailand have changed. Prior to 2012, the UK government’s Foreign and Commonwealth Offices handled passport renewals around the world. Back then, the Hong Kong office probably would have renewed and returned it to you within 4 weeks. Today, the British government sends passport renewals back to the Home Office in the UK. This process typically takes 6 weeks but can take over two months.The long wait time for UK passport renewal makes it more necessary than ever to ensure that your passport application is complete and right the first time. You wouldn’t want to spend two months waiting for your passport renewal only to find out that your application was incomplete. Such a mistake could ruin a trip or force you to cancel planned travel.In order to renew your UK passport, you will need to provide your old passport as well as your personal details, photographs and the renewal fee.Whether you are an expat or just on vacation, you are best served by having an expediter assist with your UK passport renewal. An expediter can make sure that there are no mistakes in your application, and will make sure that the UK government processes your application. 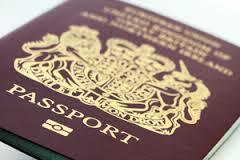 If you need a UK passport renewed while in Thailand, please contact us. You will need to provide two photographs as per the UK passport photo requirements. You will need to provide evidence of your address in Thailand – utility bill – bank statement we will translate the document free.